What if you could easily create an image gallery from a folder with photos? With Memento plugin now you can! Mark Aplet has created a plugin that will resize and display thumbnail of photos places in specific folders, grouped in albums. Simply upload your images, and indicate where you want your album to appear and voila, your gallery will appear in said place. 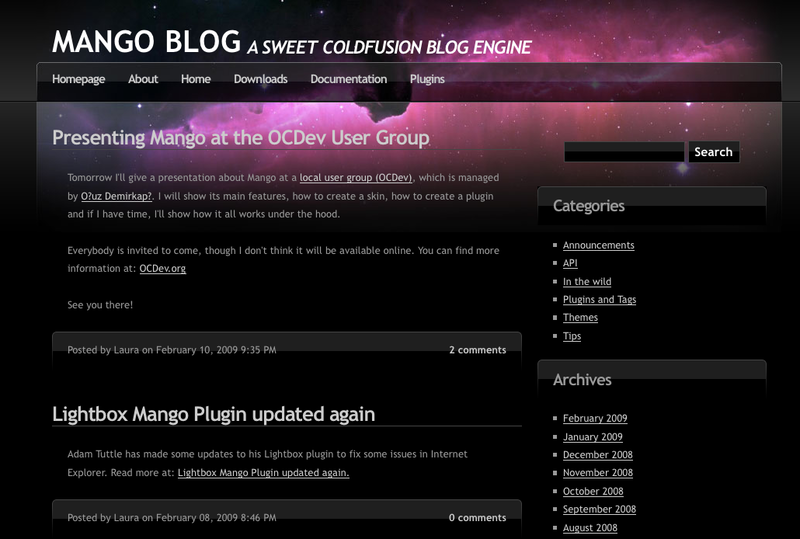 You can read more and download it from Mark's blog. 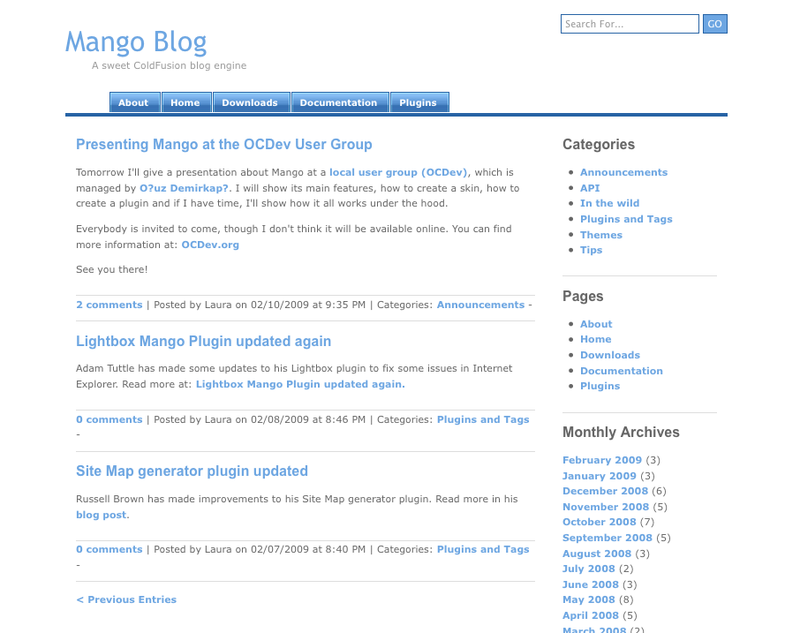 Mark Aplet has created a plugin that enables Fancybox for displaying images like "lightbox". 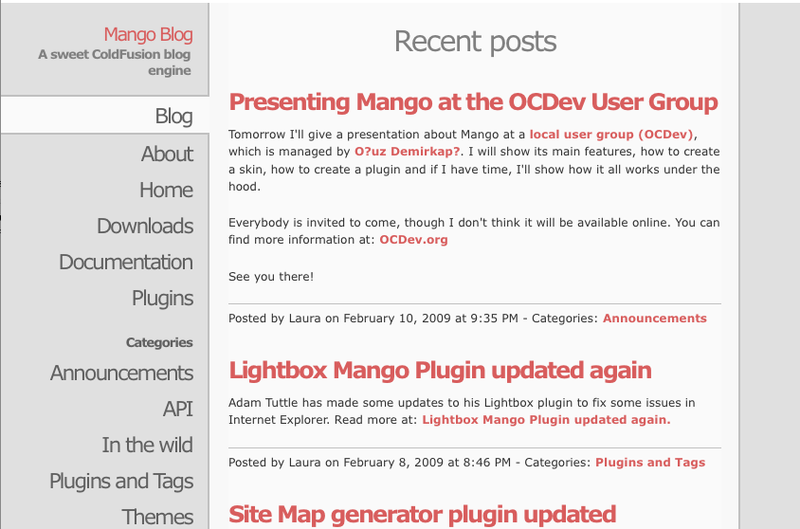 You can read more and download from Mark's blog. 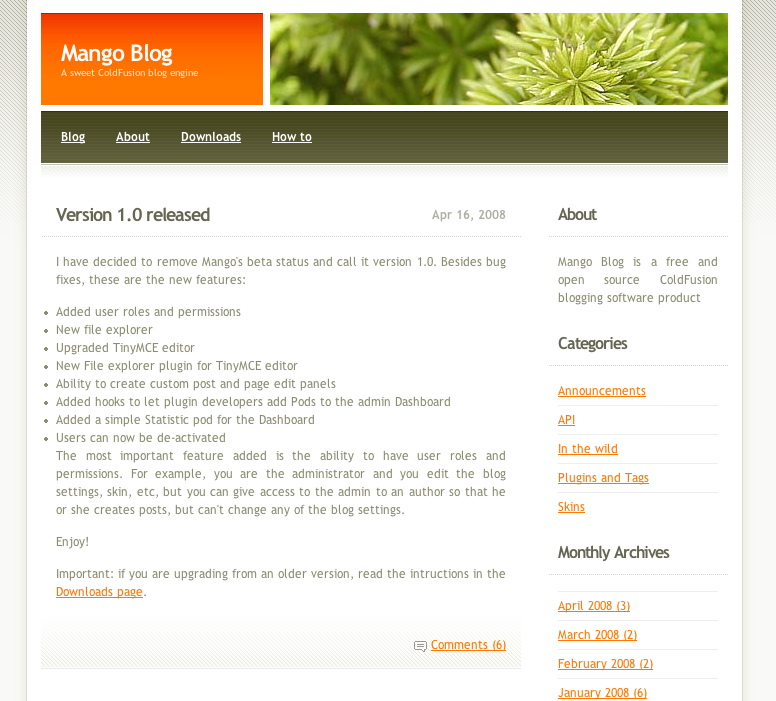 For Mango 1.4, I decided to add a new default theme. 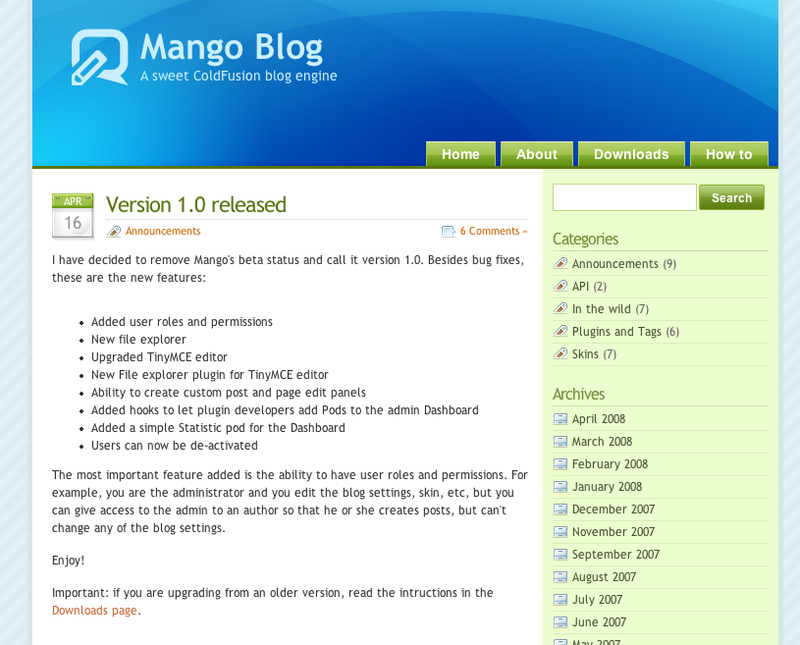 This theme includes many of the new features added to release 1.4, so it requires that version. For this theme, I wanted to show how to add a custom login screen and how to modify the comments form to automatically enter the currently logged in user information in comments. It also includes a custom page for a listing of the Archives, which you can enable by adding a new page and settings its page template to the Archives Listing Page. Although it is not a new feature, Cutline shows how you can have RSS feeds per category. 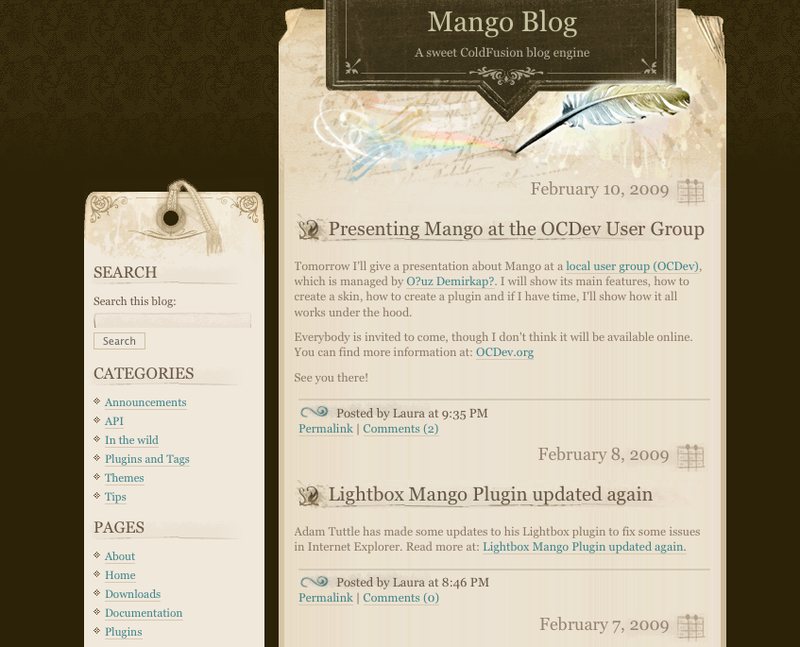 In addition, the author page will show links to the latest blog posts for the selected author. To enhance SEO (search engine optimization), this theme will check if the post or page contains a custom field for description, called "meta-description" and if so, it will use that for the description <meta> tag. 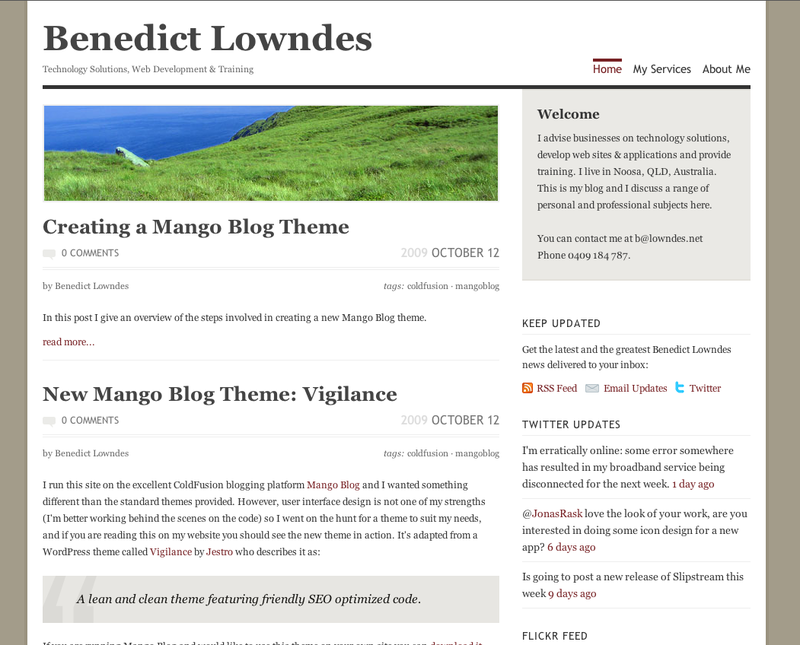 I am hoping this will become a standard in themes, so this SEO enhancement will be always available. 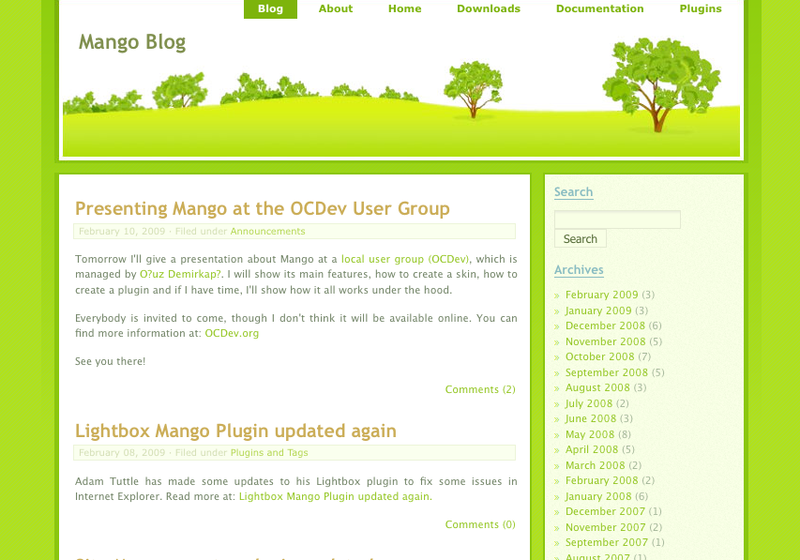 This theme is available for download from your Themes adminstration screen. 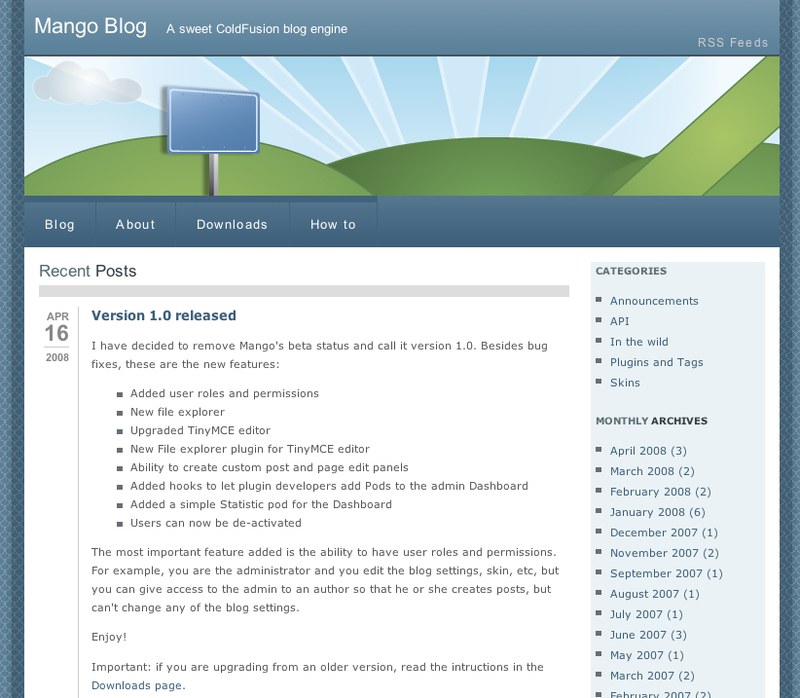 A new version has been released. 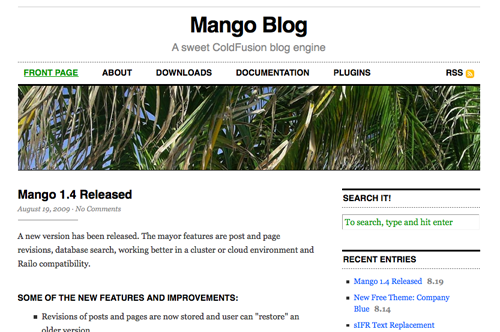 The mayor features are post and page revisions, database search, working better in a cluster or cloud environment and Railo compatibility. You can read more in the release notes. More information regarding the changes to come. 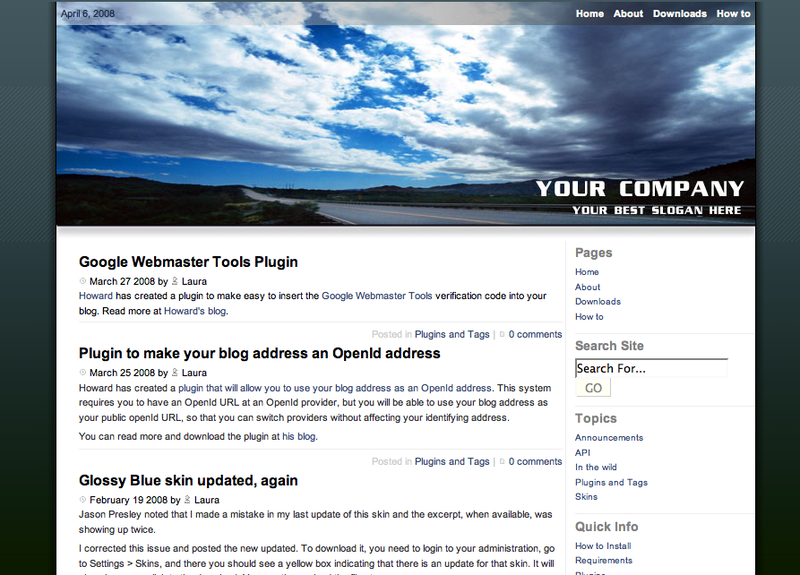 Brice Cheddarn Development has created another free theme: Company Blue. You can download it from Brice Cheddarn's website. 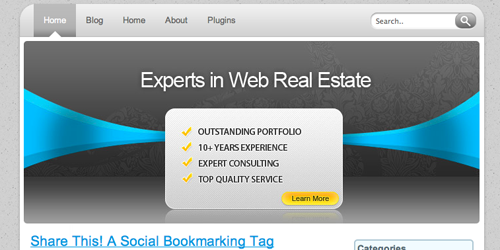 Do you want to have great looking headers and titles? You can now use Mark Aplet's sIFR text replacement plugin. Read more and download from Mark's blog. Tom King from OxAlto Design has create a new free theme called OxAlto Capita. 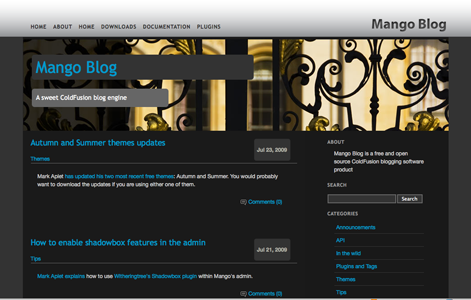 This theme is available from download from your Themes administration page.